Yitran Communications, available through GLYN High-Tech Distribution , have announced a new line of Powerline Communications (PLC) networking controllers called IT700. This mixed signal IC is fully compliant with the HomePlug Command and Control PLC networking standard. IT700 is ideally suited for AMR/AMM/AMI, home and building automation applications. The IT700 is an integrated IC combining an extended 8051 CPU core, HPCC-ready PLC transceiver, 256K Flash and 16K RAM, offering data rates up to 7.5 Kbps. Manufactured on a 0.18u flash technology, the IC comes in a QFN56 package. Compared to the current IT800 series ICs, the IT700 integrates many of the components including the line driver inside the chip and takes in a single 3.3v input. The chip is backward compatible to work with legacy applications. Yitran will also provide a fully HomePlug C and C compliant data link layer (DLL) in software necessary for applications to communicate with the IT700. The DLL also implements a 128-bit AES encryption offering data security at the packet level. Yitran have also recently released a companion network layer software suite called ‘Y-NET’. 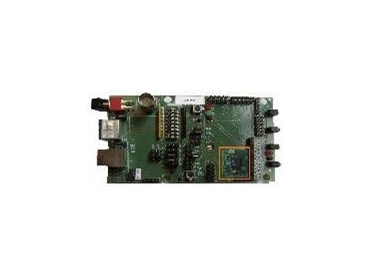 It is suitable for the development of a wide variety of command and control applications. Y-Net combines the advantages of Yitran’s IT800 PLC modem technology with enhanced networking capabilities such as plug and play, logical network creation, master-slave and peer-to-peer network configurations, multiple network topologies (fully connected, mesh, tree), multiple network support, selective and secure participation of nodes, dynamic routing/repeating, failure detection, network parameter recovery, etc. It allows application developers and system integrators not only seamless evaluation of the PLC modem performance, but also dramatically reducing the system development cycle. Commercial samples of the IT700 and the starter kit will be available in 4Q08 with MP scheduled for 1Q09.